I've told you all of my allergy to Tide detergent and originally when I first started reviewing products, I was quite hesitant in trying out any type of laundry soaps. I wasn't quite sure how my skin would react and I already had a personal preference to a brand I knew worked well for my allergies. 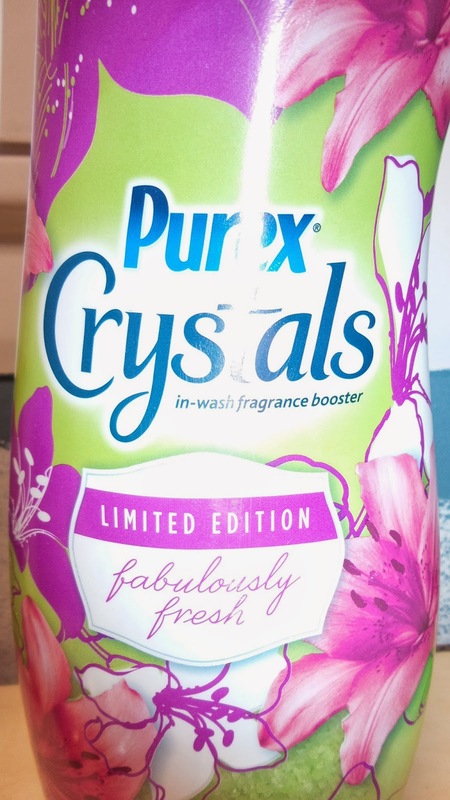 Recently, we were asked to review Purex® Crystals Limited Edition Fabulously Fresh. 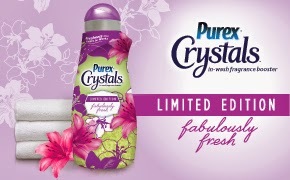 I was quite excited since not only is this my brand preference but I am obsessed with the Purex Crystals! I've never had a reaction to any of the clothing or bedding washed with Purex and I prefer the smells of this as compared to the similar products made by the competitors! Not only have I been in love with Purex detergent for years but the minute Purex released the line of Purex Crystals I knew I was hooked for life! Whenever I want my laundry to have a fresh laundry smell, it seems as if I have to use a crazy amount of detergent with an extremely light load. Thankfully with Purex crystals that's different. The instructions recommend you use a capful but I've found you can even use a large pinch worth and still your laundry smells amazing! 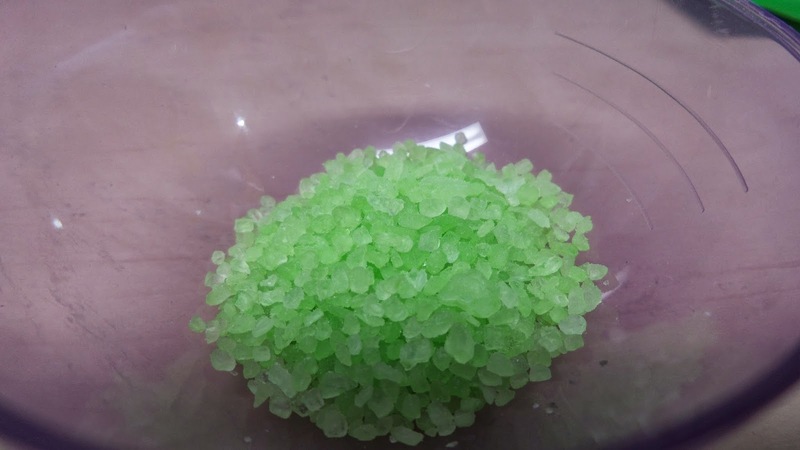 I've even used the Purex Crystals for other tasks to help with odors. I use a capful mixed in the water of my carpet cleaner when washing carpets, I've set some out in the bowl near our litter box to help with smells, adding a capful to a spray bottle of water and misting it on sheets or furniture to freshen up OR tossing a handful into my vacuum canister to keep from letting old smells from spreading when vacuuming. Not only does the Limited Edition Fabulously Fresh scent smell refreshing to begin with but it has quickly become a family favorite. We've recently discovered how important having a good detergent is since the boys are getting older and I cannot begin to describe to you the smells that come from their bodies (specifically their feet)! I sure hope this limited time only scent becomes a permanent one since I've fallen in love with it. 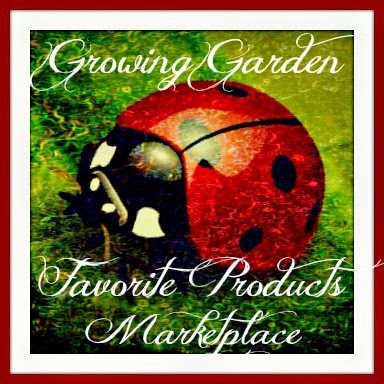 Recommendation: Honestly, I think this is a great brand which I've obviously used frequently in the past! 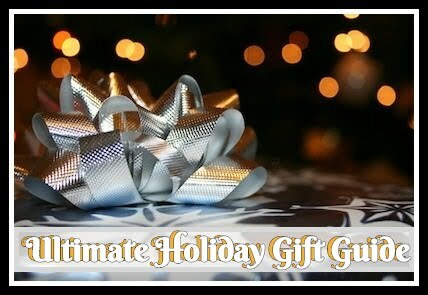 I love the Fabulously Fresh scent too and especially like the packaging! I know that sounds odd but I enjoy displaying the pretty bottle in my laundry room!